Toshiba now offers its new universal USB docking station – dynadock V for $119.991. 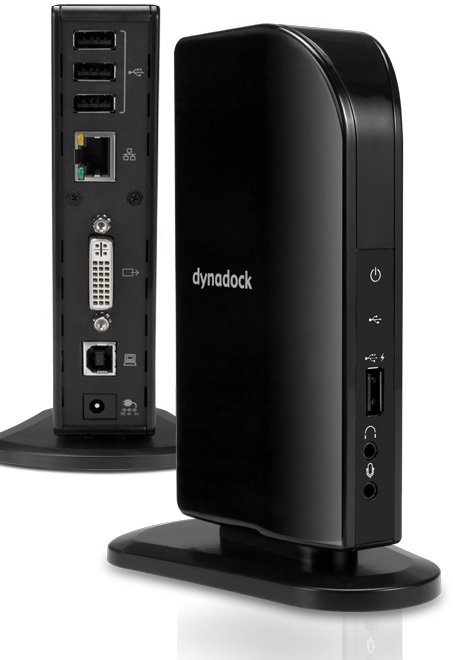 The dynadock V docking stations is “just half the size and one-third thinner” than the dynadock U and offers space saving at home or office and acts as a conduit for add-on peripherals extending computing power to an external monitor, keyboard and mouse, printer, router, headset and other accessories with only one single USB cable plugged into your PC. Enhanced Productivity: Four USB 2.0 ports, Ethernet LAN connectivity and 3.5mm audio in and out for headphones and microphone, the dynadock V optimizes a home, school or office environment. The dynadock V also includes an easy access Sleep-and-Charge2 USB port that supplies power to a cell phone, MP3 player or other device even when the PC is turned off or disconnected from the dynadock V completely. 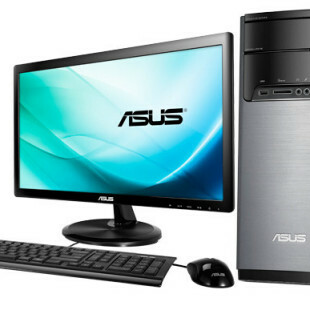 High Resolution: A built-in HD video card allows one to connect an extra VGA or DVI monitor with up to 1920 x 1080 resolution, thus enabling users to connect their small portable laptop to a large HD monitor to surf the web while checking email, watching online videos or working on a report. Easy Software Installation: Toshiba dynadock utility software is included for all video and audio drivers customized for the dynadock V experience. The family of dynadock docking stations offers universal compatibility with all versions of Windows® XP, Windows Vista® and Windows® 7.